I'm going to show you an awesome side dish that Jamie Olivier taught me -not in person tough, but once by accident while appearing on a tv screen infront of me when I was climbing some sweat machine at the gym - cauliflower "rice"! It's not really rice at all, just ground steamed cauliflower that tastes so much better than I ever expected. 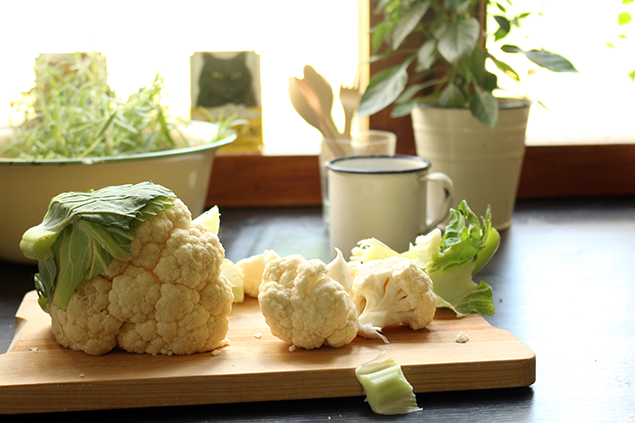 And I even like cauliflower in the first place! This time here I made it with a quick and affordable curry to go along. 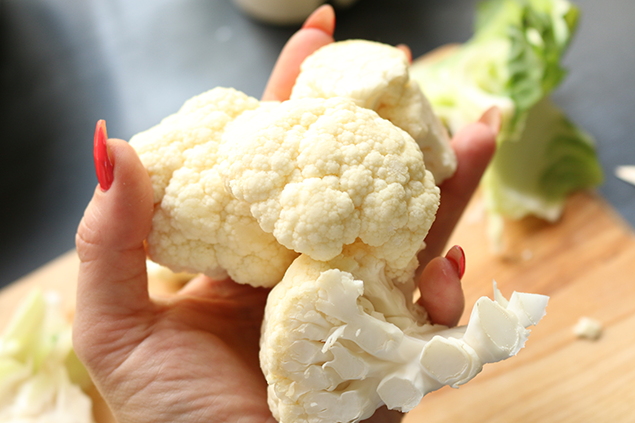 Caulirice as I call it is a great way to get even more vegetables in your meal! It is also a low-carb substitute for rice. So, you nee some cauliflower and a micro wave oven or a pot/ steamer pot and a strainer with very small holes to steam it in. I use about this much for one person. Then I chop it all in my food processor. I don't have one in the city and there I've just grated the cauliflower. 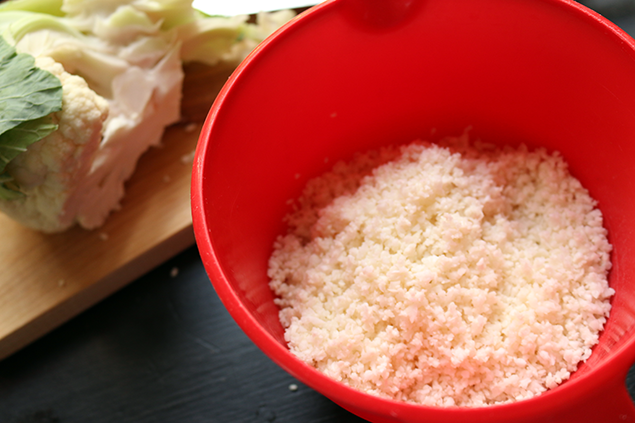 On a side note, you can use finely grated cauliflower like this in salads as well, raw; it's a great filling (like I did for my raw Valentine's day dinner this year). Well, when everything is in small and tiny bits you put it in a bowl and cover with a lid or plastic film and microwave it for 5-7 minutes (the more you have the longer the time). Or put it in the strainer in your steaming pan and cover with a lid. 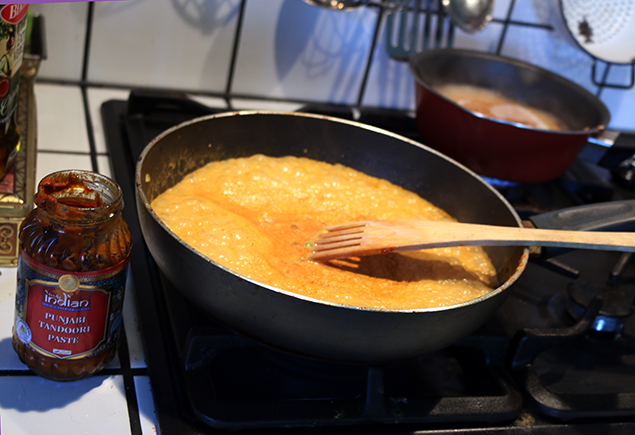 Fluff it with a fork when done and serve with something that has a lot of sauce - caulirice really absorbs liquid and taste a lot! A good little extra about this one is it requires less dishes - you can just rinse you mixer and pots and bowls with water right after you've used them. Btw did you know it is the same when you make smoothies that only contain fruit and greens too -water is enough for the blender if you rinse right away. I put together a quick and affordable curry that turned out very good; with tandoori paste an a bag of good ol' herne-maissi-paprika (a frozen mix of peas corn and bell pepper) that I think many in my generation sincerely hate as that damn mixture was everywhere when we were kid and also something I had a lot when studying because it also rather cheap. I use corn and peas a lot and have now noticed that little yellow-green-red bag ain't all that bad. I fried some onion with the veggies and added tandoori paste, cooked red lentils, coconut cream and water to a quite runny sauce and let it thicken for some 20mins on the stove. 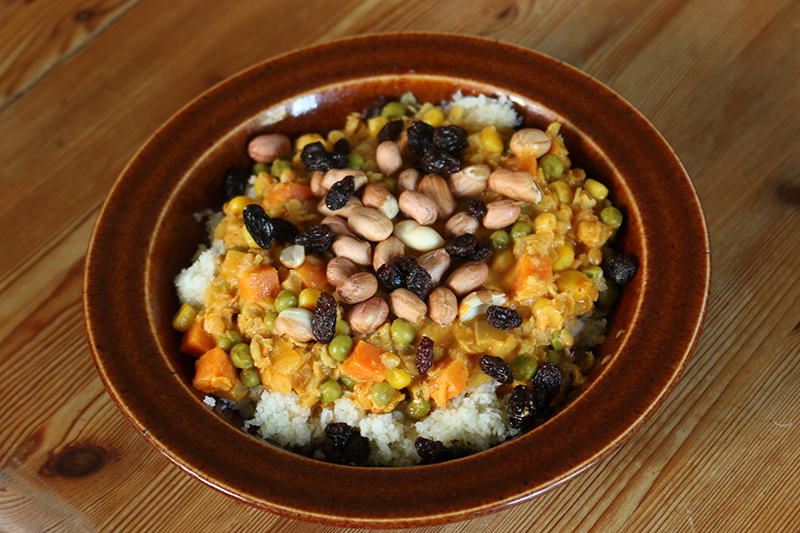 Added a fresh chopped tomato and served with the caulirice, put peanuts and raisins on top! 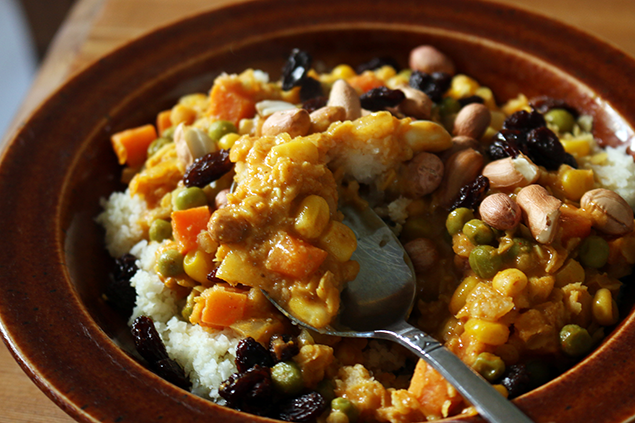 Any leftover of both cauliflower and curry can be mixed together and kept in the fridge. It tastes super good and chunky still a day or two later! Sounds interesting, might have to try that. Thanks. Also, I agree with you about the carbs! thats just fantastic, no-carb-fake-rice sounds just perfect. Well, that's a good idea!! !